Bob talks in great detail about his time in the Auxiliary Units in Bath as well as his time in the Fleet Air Arm and the kamikaze attacks his ship endured. Do take the time to listen to this fascinating account of a very brave young man. 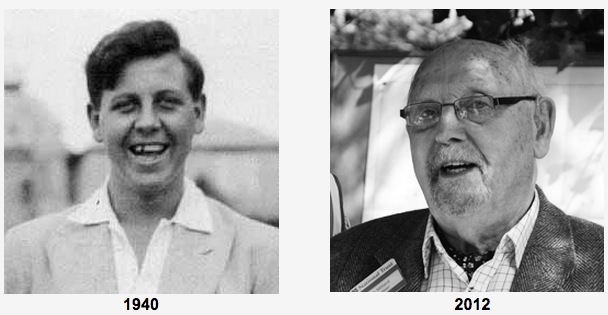 It is with a very heavy heart that we have to report the death of Bob Millard, who died peacefully on Saturday. Bob was a member of the Bathampton Patrol in Bath and had a huge influence on the campaign to get Auxiliary Unit veterans the public recognition they so richly deserved. He helped to shape and inspire the Coleshill Auxiliary Research Team (CART) and all it’s researchers. Bob’s route into the Auxiliary Units started at the outbreak of war, when he reported to the local fire station in September as a messenger before, in the summer of 1940 joining what was then called the Local Defence Volunteers (LDV), which soon became the Home Guard. It was during his time in the Home Guard that Bob had his first experience of the Auxiliary Units, but on this occasion he was on the receiving end, when a member of an existing unit ‘blew up’ a sentry hut Bob was guarding! It was through a friend, Anthony Bentley-Hunt, that Bob became part of the Auxiliary Units, when Anthony asked him whether he wanted “…to join something which is a bit more exciting than the Home Guard”. Following a meeting in a house in Bathwick Street, Bath, in which he was asked all about his family, knowledge of the local neighbourhood, his expertise of weapons (which included putting together striped Baretta), he was invited to join. It was explained exactly what his role would be, the associated dangers and was made to sign the Official Secrets Act. Bob then began the intensive training to become a highly effective and deadly guerrilla soldier, which included trips to Coleshill House in Wiltshire, the headquarters and main training facility of the Auxiliary Units. There he was taught everything from explosives, sabotage and assassination techniques to map reading and night exercises. Back in Bath, Bob’s patrol would regularly practice what they had been taught at Coleshill as well as identifying possible targets to attack in the event of a German invasion (including the main London-Bristol railway line and Claverton Manor – a local manor house that was a likely candidate for a local German HQ). One particular exercise saw Bob and the rest of the Bathampton Patrol attempt to undertake an ‘attack’ against the airfield at Colerne. This night attack was designed to test the skills of the Auxiliary Unit as well as the defences of the RAF Regiment that guarded the airfield. During the exercise the patrol’s Sergeant was taken captive, only to be later ‘rescued’ by Bob and the remaining members of the patrol. They also captured a captain and flight sergeant and placed dummy explosives on the target planes before getting away. The exercise proved the potential value the units would have had had the German army invaded and started to utilise the existing airfields and facilities. By 1942 the immediate threat of invasion had diminished and so members of the Bob’s unit were allowed to volunteer out and Bob joined the Fleet Air Arm as aircrew, later to be involved in anti-submarine patrols, attacks on The Tirpitz off Norway, and then eventually with the British Pacific Fleet working the Pacific with the Americans in their campaign against the Japanese mainland. It wasn’t until the reunion on the fiftieth anniversary of the stand-down of the Auxiliary Units in 1994, that Bob begun to realise just how wide an organisation the Auxiliary Units were. At that reunion Bob met someone that he used to play rugby with in 1941, and didn’t know that he was an Auxiliary Unit member himself despite knowing him all those years. Bob summed up the typical Auxiliary Unit member. A normal young man, who when his country was in mortal danger answered the call, prepared to face almost certain death to protect all that he loved. Like most of the veterans he lived most of his life keeping his secret, and only when called upon in his later years did the full remarkable tale of his time in the Auxiliary Units come out. He would later be a main spokesperson for CART helping to educate the public about this unknown group of volunteers. 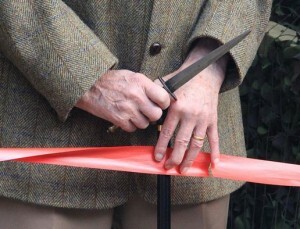 He opened the replica operational base at Coleshill House in 2012 (appropriately cutting the ribbon with the Fairburn Sykes knife – the main killing weapon of the Auxiliary Units). He represented everything that was great about his generation and will be sadly missed by all associated with the Auxiliary Units. Some comments from those who knew him. I last met Bob at Parham Airfield, the site of the BRO Museum, in July 2004 with the late Geoffrey Bradford, his fellow Auxilier. Nearly a decade later, during the preparation for my book, Churchill’s Secret Defence Army, across numerous telephone conversations, Bob and I renewed our acquaintanceship . His memory was as sharp as a pin and his vitality an inspiration. During the brief period I knew him Bob made a great and positive impression upon me. It was an honour and a privilege to have known this fine gentleman. – Arthur Ward. If you have something you would like to add please do email hq@coleshillhouse.com and we will add it here or you can comment below and we will add it above. As we were preparing a re-vamped version of our Weapons & Explosives DVD we came across a short piece of video which we have never shared with anyone. It features the late Keith Blaxhall guiding Coleshill trained Auxilier Bob Millard around the Coleshill training Operational Base. 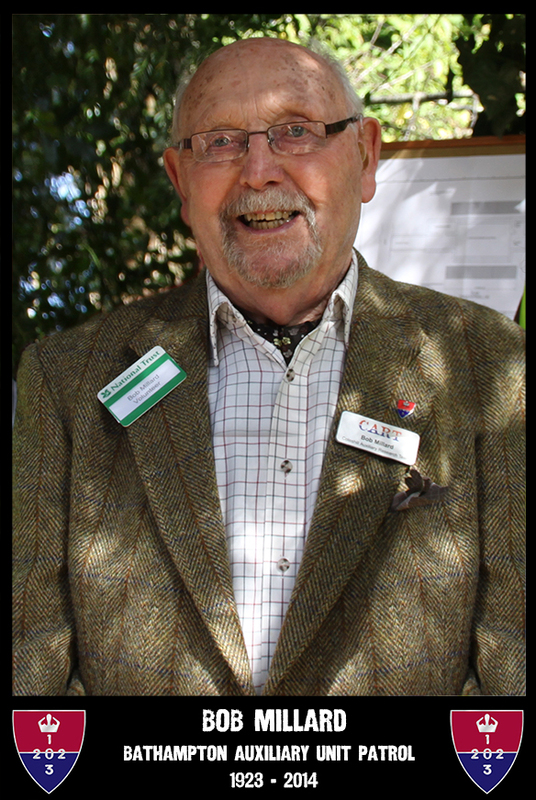 Keith was the Head Warden at Coleshill for many years and he loved sharing all his knowledge. Bob explains how things were done in his OB. 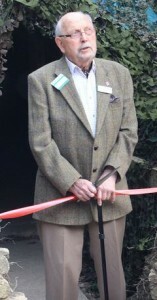 Today at midday Auxilier Bob Millard (Bathampton Patrol) opened the new replica Operational Base at Coleshill. Bob cut the tape using his original Fairbairn Sykes Fighting knife after delivering a short speech on the Aux Units and the threat of invasion. The opening of the OB was part of the weekend long celebrations at the site called ‘Coleshill Underground’. See more on Bob here and the weekend here. If you are local and free tomorrow why not pop up. Look out for the CART historians in yellow tabards and come and say hello. 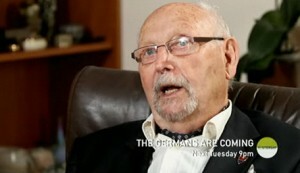 See Auxilier Bob Millard talking about his preparations for a German invasion in this new series ‘The Germans Are Coming’ which starts on Tuesday 6th December at 9.00pm on the Yesterday channel. This exclusive documentary charts the story of how the British people braced themselves for invasion. Well you have all kindly suggested names for our new Ale, brewed by the Halfpenny Brewery and Auxilier Bob Millard has now decided on the final name for the Ale. 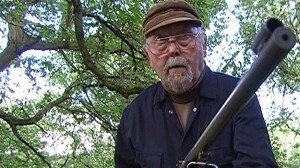 In my search for more video footage I have found “The Real Dad’s Army” on the internet. I am sure many of you have either been in it or watched it but here it is again. Bob Millard’s Story Live Online !!! We have now completed and uploaded Bob Millard’s story of his time at Coleshill. Bob has been very helpful and has provided a lot of info for this site. 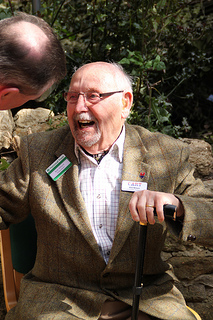 We interviewed Bob over the phone for this video and it recounts his time at Coleshill House. During our research on Coleshill we sent many emails to many people. 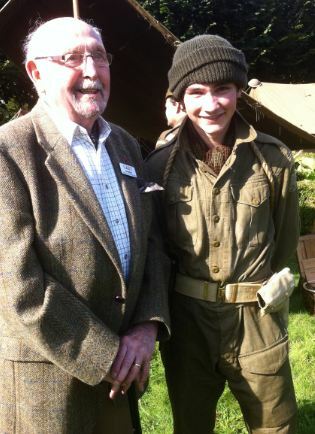 We were suprised to hear from Bob Millard who trained 3 times at Coleshill during the war. Bob’s help and advice was invaluable and we hope to work closely with him on the site.